Follow Sool on the social medias! Summer brings fair weather, clear skies, heat, humidity and thunderstorms. And in the grand scheme of human activity, a microcosmic event takes place. Ken flies over from Japan to join 3 of his best mates to realign and celebrate that which brought them together in the first place: rock and roll music and its associated genres. So it is in the spirit of summer that these men attempt to "spread good cheer" with their cockamamie brand of psyche-pub rock over a weekend of tri-state performances. Thursday August 9 @ Tavern at the End of the World, Charlestown, MA. 9 pm. Saturday August 11 @ PK's Public House inc., Bellows Falls, VT. 9 pm. It's that time again. Summer. Lobster rolls, picnics, fireworks, beer, family trips, house projects, and that good ole rock'n'roll. The annual reunions of 4 homies who have been jim-jamming and cutting tracks together since adolescence continue their prophetic course up the river of time and down the log flume of destiny. If you feel connected in any way to Kevin, Ken, Neal or Pete, consider reaching out this year. Listen to one of our songs, give us a retweet, like our facebook page, troll us with a cryptic message of some sort, drop by one of these shows and say hi if you can or simply scoff at a memory. Keep smiling through just like you always do 'till the blue skies drive the dark clouds far away! Hope to see you soon. Thursday August 10 @ Tavern at the End of the World, Charlestown, MA. 9 pm. Playing with The Gated Community who will come on after us. Saturday August 12 @ PK's Public House inc., Bellows Falls, VT. 9 pm. Sool returned once again to the summer stage with the help of drummer Ken O'Keefe travelling all the way from Tokyo with his dried squid magic drumming. Before Sool, there were the Dead Monkeys - a bar band from Poughkeepsie with a passion for playing dives and making 4 track cassette tapes. When the Dead Monkeys recorded with Pete Weiss at Zippah Recordings in the mid-90's, Sool was born. Much love and appreciation to those who made it out to this annual celebration of all things Dead Monkeys and Sool. Saturday August 13 @ WOOL91.5 FM Radio annual Block Party at the Waypoint Center, Bellows Falls, VT. Playing with Moxley Union, 3rd Rail, Willie & The Heartbeats. The individuals who collectively make up Sool have been super busy with other music projects, professional endeavors, sports, home appliance repair and family. But this did not stop them from getting it together to create live music for their non-demanding fans. Once again, original Dead Monkeys drummer Ken O'Keefe packed some snacks and flew from Tokyo to Boston to sit in with his musical pals Kevin, Neal and Pete. Sool and/or The Dead Monkeys joined forces for another summer jaunt in the Northeastern part of the USA. Word on the street is that the lads were wearing imported wigs for part of the performance. Thanks to everyone who came out, supported, reconnected, etc. We love you. For some photographic evidence, check out the gallery here. Sool performed an acoustic set on Saturday, April 26, 2014 at the Armory Cafe in Sommerville, MA with Uranium Daughters. A joyous time was had by all. On the heels of a successful tour of the Empire State, Sool returns to the studio to put the finishing touches on a full length record album due to be released no later than August of 2032. Pete Weiss and Jeff Gallagher discuss overdubs during a Sool recording session at Armory Sound. The incomparable Ken O'Keefe joined us on drums for a Summer Mini-Tour in August 2013! This alliance features members of Sool, Dead Monkeys and Weisstronauts! Fri Aug 9 (10 pm) Lot 10 Ithaca, NY with Ithaca favorites The Fly Rods and The Rungs! It's here! And well worth the wait. The collaborative brain child of Sool and Inverse Room weighs in at 5 tracks of sonic paradise. Click on the cover, give it a listen, then download what you like ($1 per song, $4 for the entirety). Inverse Room is the musical incarnation of J. Robert Lennon: a song-writing man. He cannot fly, or communicate with the animals. He is not fluent in many languages, and is slightly afraid of the ladies. But when it's song-writing time, Inverse Room knows what to do. Sool was back for a double date with the Weisstronauts at Pleasant Valley Brewing, Saxtons River, VT this coming Friday, May 24, 8 PM. 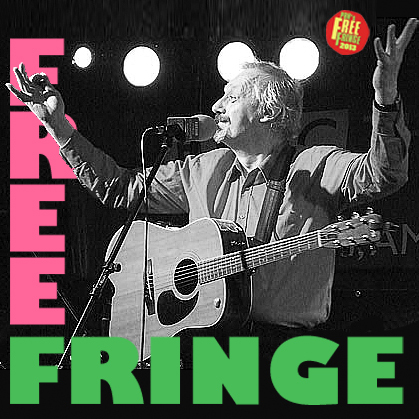 As the release of the "Sool and Inverse Room Present a Problem" EP draws near, one of the tracks, "Door Blows Open", can be found on the just released UK benefit "PBH Free Fringe album". Please consider listening to and purchasing this fine collection before it goes offline on April 15th! Sool: Handball! the music video is released! "Handball! ", Sool's tribute the great olympic sport, received airplay on the BBC! You can give a listen to the original broadcast excerpt here. Rare video footage of the making of the CD Sooltime has surfaced thanks to videographer Jim Gerdeman. The video can be viewed here or in the video section of this website. Sool recorded "Handball", a tribute to the Olympic sport for WIAIWYA's "it's the taking part that counts" a 26 track compilation album of indie, folk, pop, and electronica, celebrating all 26 sports! Check out the bandcamp page here. A collaboration between Sool and Inverse Room (J. Robert Lennon) has resulted in a soon to be released EP. It will be worth it for John Clarke's cover art alone!